Learn how to organize, process and present your photos so they look their best. A workshop for photographers who are just beginning to use this useful program. 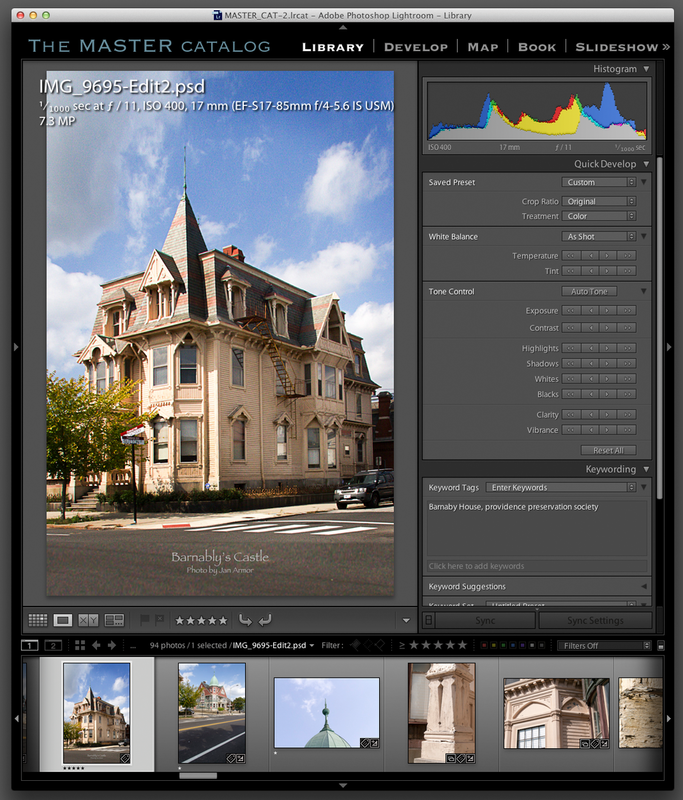 Adobe Lightroom will transform the way you work and help you become a better photographer. I can almost guarantee it! You will learn how to import your pictures from both your camera and your computer. You will work along with me on your laptop. This is an efficient workflow that will get you back to what you like to do best... take pictures! Note: I will be using Lightroom version 5 but this class is appropriate for users of LR3, and 4 as well. You will use your own laptop and follow along as we explore the program. Jan Armor is a professional photographer with over three decades of experience in both image making and photo education. More about me on my website: http://www.armorphoto.com. 99% of the images you will see there have been processed in Lightroom. Take a look!